Following is information about local and state organizations and Quick Links to resources and article. If you have birding news you'd like to share, please send your comments and ideas to . 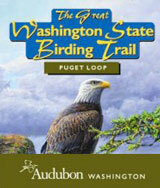 The Kitsap Audubon Society website offers a wealth of information about local birding locations, activities and events. 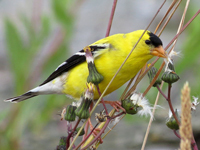 Click here to view/download a PDF of the comprehensive list of local birds species. 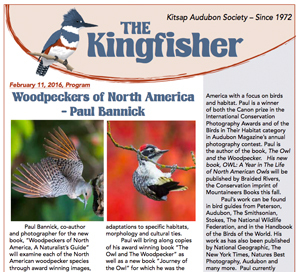 Click to view/download a PDF of the KAS list of popular Kitsap birding locations. Joan Carson - The Bird Lady lives in Poulsbo and is not only an expert about birds living in and around the Kitsap Peninsula, but around the United States. She writes for the Kitsap Sun and has written articles about the region's growing and very active eagle population. 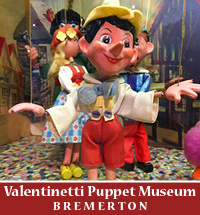 Click here to read the Kitsap Sun article. 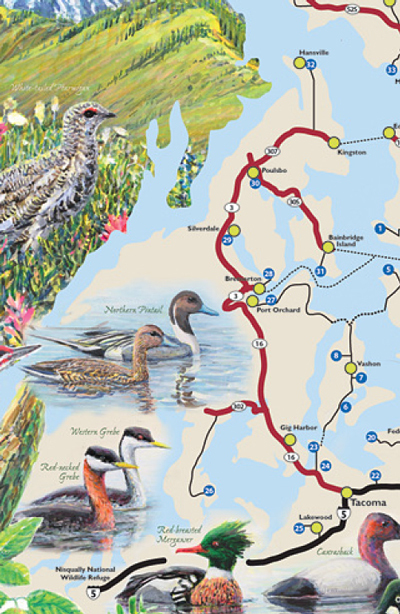 The Washington State Audubon Society Puget Sound Loop includes official locations on the Kitsap Peninsula and other viewing locations. 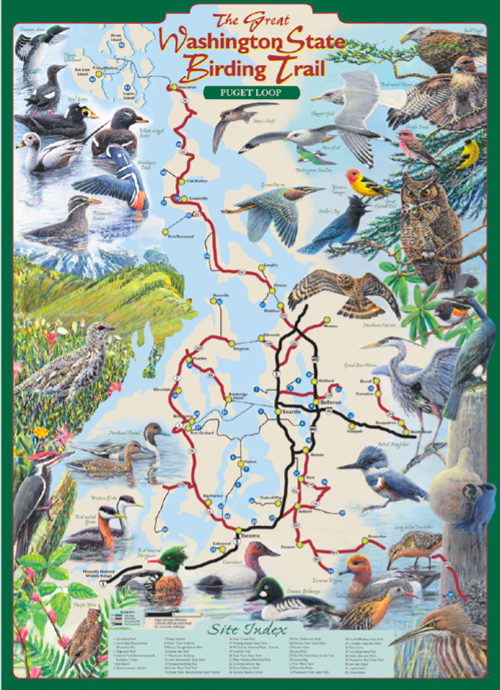 Click here to view a PDF of the Puget Sound Loop Map. Below are a list of official viewing stops other nearby viewing locations.